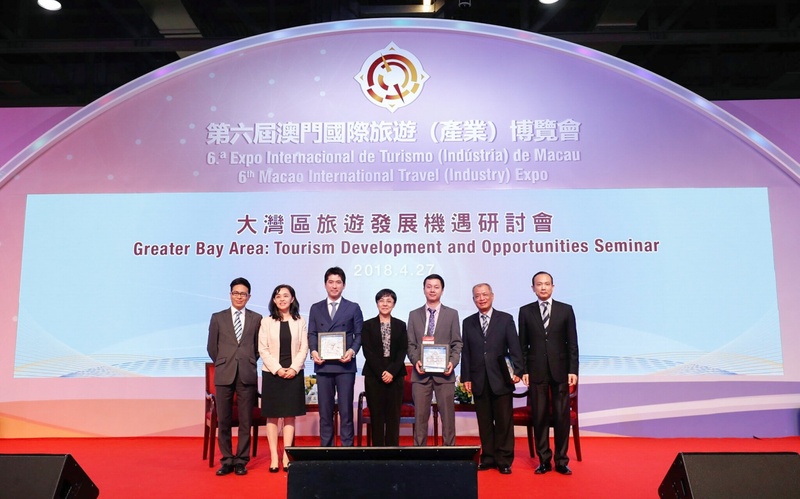 Grandly inaugurated this morning (27 April), the 6th Macao International Travel (Industry) Expo (referred to as the “Expo” or “MITE”) unfolded two of its key highlights – the Greater Bay Area: Tourism Development and Opportunities Seminar and the China-Portugal Tourism Networking in the afternoon. Industry operators came from across the globe to conduct insightful exchange and business contacts. The occasions epitomized the function played by Macao as a Sino-Portuguese platform and its role in facilitating cooperation across the Guangdong-Hong Kong-Macao Bay Area. Director General of Tourism Administration of Guangdong Province, Zeng Yingru, joined Director and Deputy Director of Macao Government Tourism Office (MGTO), Maria Helena de Senna Fernandes and Cheng Wai Tong, for profound discussions at the Greater Bay Area: Tourism Development and Opportunities Seminar. 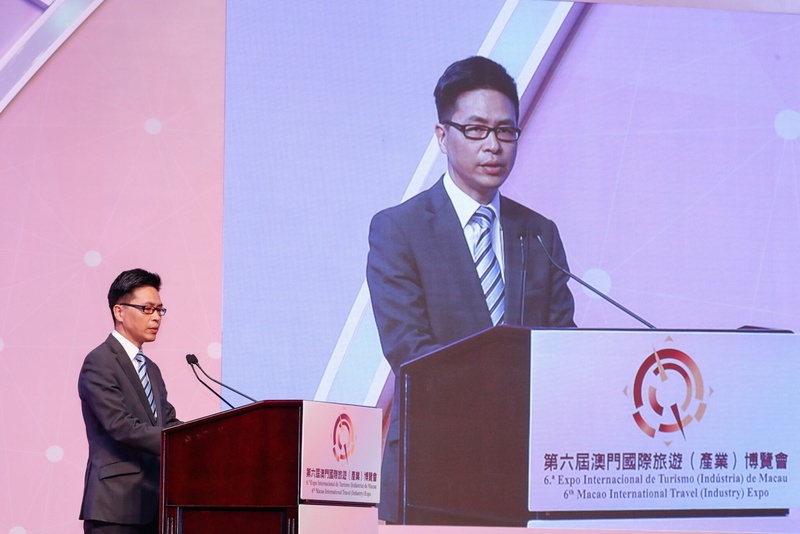 In his address to the Seminar, Cheng Wai Tong highlighted that both the public and private tourism sectors of various cities in the Guangdong-Hong Kong-Macao Bay Area are poised to seize the opportunities brought by the development across the Bay Area to push forward various major tasks and build the Bay Area into a world-class travel destination together, in parallel with the Belt and Road development. Seeing that the Bay Area holds an immense potential to move forward in tourism, he looks forward to Macao joining hands with domestic and international industry partners to embrace the opportunities and engage in deeper exchange and collaboration so as to achieve mutual success and share the harvest from tourism markets. Eminent scholars and experts from Guangdong, Hong Kong and Macao were invited to weigh in on the world of opportunities unlocked by the Bay Area development and the Hong Kong-Zhuhai-Macao Bridge for tourism growth in the three destinations, and discuss feasible schemes for cooperation among the city cluster of the Bay Area to drive regional tourism forward. In particular, Associate Professor of School of Tourism Management, Sun Yat-sen University, Dr. Zeng-Xian (Jason) Liang, Assistant Professor of City University of Hong Kong, Dr. Jason Ni, and Honorary Advisor for Global Tourism Economy Forum, Dr. Ieong Tou Hong, proffered their insights on the following topics: “Tourism Development of Greater Bay Area: New Era, New Space and New Trend”, “Greater Bay Area Infrastructure Development and Regional Tourism”, “the New Trend of Guangdong-Hong Kong-Macao Bay Area Travel Cooperation”. Exhibitors and trade delegates from around the world participated in the Seminar to gain an update of the tourism prospects in the Bay Area. In token of appreciation, MGTO Director Senna Fernandes presented souvenirs to the three guest speakers. This year, the Expo once again seeks to foster tourism exchange between China and Portugal as well as other parts of the world, and supports industry operators to launch multi-destination tourism products in international markets for a greater harvest of commercial benefits. 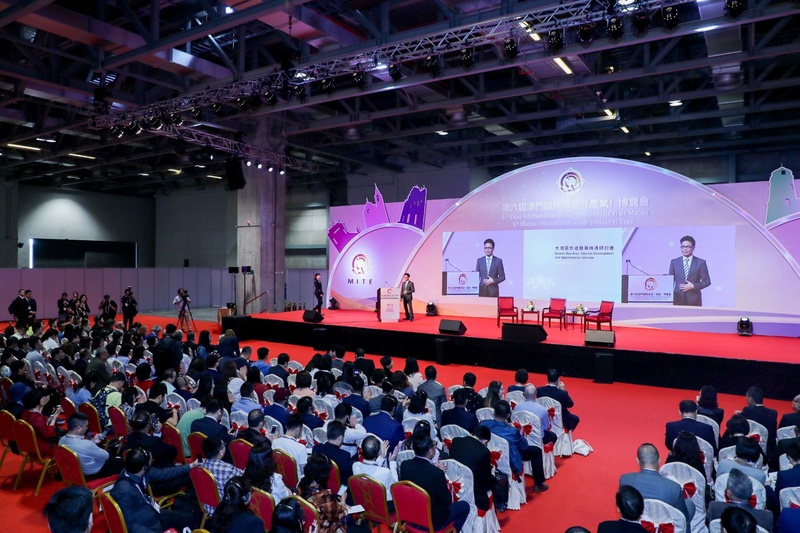 Upon MGTO’s invitation, around 130 industry delegates came from Portugal, the United States, Australia, Japan, Korea, Malaysia, Thailand, Indonesia, India as well as Mainland China, Hong Kong and Taiwan Region to Macao for the Expo. 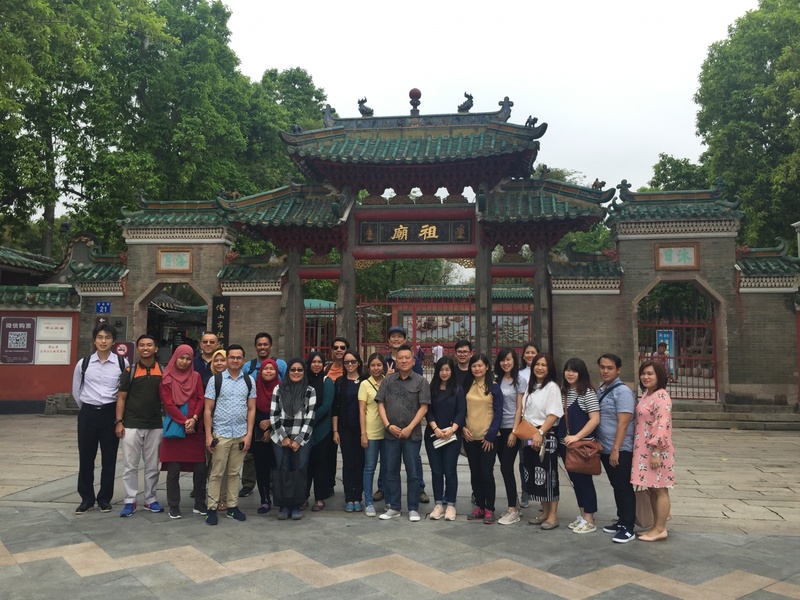 Prior to the event, some of the delegates paid an inspection visit to Foshan, Guangzhou and Kaiping in Guangdong for an experience of the multi-destination tour routes. After their inspection visit, industry delegates from Portugal and other places shared their feedback and experience with their counterparts from Guangdong with regard to the multi-destination tour routes. Together they discussed initiatives to launch these multi-destination tour routes and products in international tourism markets. The Portuguese Association of Travel and Tourism Agencies (APAVT, from its Portuguese acronym) has named Macao as Preferred Destination for 2019. The inauguration of direct flights between Beijing and Lisbon with a link to Macao last year has also ushered in a new chapter in history. On the other hand, the Hong Kong-Zhuhai-Macao Bridge, the major infrastructure project soon to be completed, will play a great enhancer for multi-destination tourism. By arranging familiarization visits and related activities to the Bay Area, MGTO strives to propel the launch of multi-destination tour routes and products among industry operators from Portugal and worldwide, with the hope to attract more visitors from long-haul markets to the Bay Area. 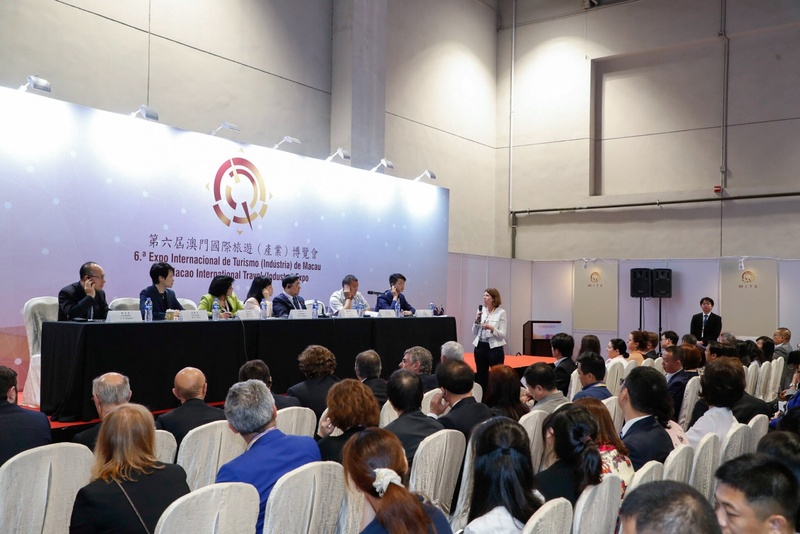 Organized by Macao Government Tourism Office (MGTO) and coordinated by Macau Travel Agency Association, the 6th Macao International Travel (Industry) Expo boasts the largest scale since the inaugural edition. The exhibition floor is expanded to cover an area of 11,000 square meters and accommodate 550 booths in total. Exhibitors include 420 travel or tourism-related enterprises and units from 50 countries and regions across the world.